London, I’ve lived there for over five years. I have travelled extensively in the city, by the river, in the suburbs, walked the streets, got drunk, thrown up, passed out, hooked up, laughed, cried, and so on. 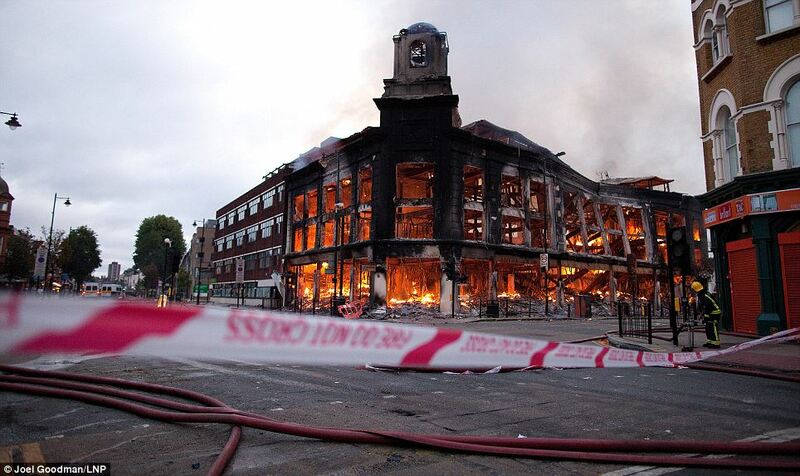 What is there to say about London today that these pictures cannot say? Unemployment jumped by 44,000 in the final three months of 2010 to just under 2.5 million, meaning that 7.9 per cent of workers were out of a job. But the youth unemployment rate hit 20.5 per cent, following a 66,000 increase to 965,000, the highest figures since records began in 1992. In the Middle East, it was the suicide of a persecuted flower-seller that brought the crowds out onto the streets, and that eventually sparked the Arab Spring, the toppling of Hosni Mubarak in Egypt, and the war between NATO and Qadaffi in Libya. 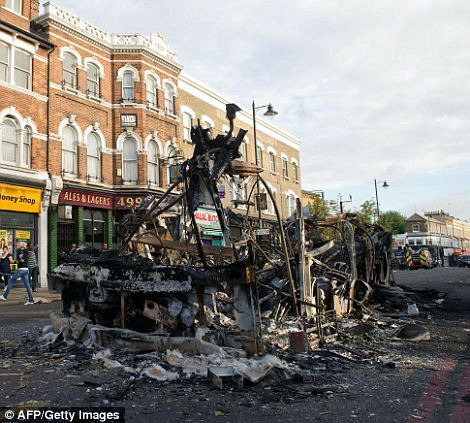 Certainly, I doubt the rioters of Brixton and Tottenham will topple David Cameron. In fact I would caution them that that would be an extremely bad idea. Yet it is the global issues that affect all of us that are bringing crowds out onto the streets, whether it is the rioters in London, the protestors in Tel Aviv and Cairo, the unionised workers in Wisconsin. The issues are rising food costs, rising fuel costs, rising rental costs, youth unemployment, and the sense that the people are being screwed by the elites. There is also the issue of money printing: the newly-created quantitative easing money doesn’t go to the people on the street to improve their standard of living, but instead goes to large banks, and into the international financial system, and into energy and food speculation, pumping up prices. I don’t care how the Federal Reserve or Bank of England measures inflation: it is patently obvious to the man on the street that wages and welfare have stayed static, while food, fuel and housing costs have surged ahead. Officially, inflation is low. But the real inflationary phenomenon is that necessities such as food, fuel and rentals are surging, while non-necessities such as iPads, McMansions and consumer goods (which of course are inedible) are staying flat or falling. The obvious answers in the short term are mandating increased food production, increased oil production, giving the unemployed youth jobs, and an end to money printing. In the long term the answers are building more affordable housing, regulating the rental market, measuring inflation on necessities and non-necessities separately, developing alternative energy (non-oil) infrastructure, developing better employment infrastructure (so people don’t fall so easily through the cracks) and slashing taxes on small business, the middle classes, and entrepreneurs so that they can afford to take on more employees. How can it be right that hedge fund billionaires pay a lower nominal tax rate than a small businessman earning £100,000 a year and creating employment and opportunity in their local community? Another issue is that of transparency and of police conduct. The community around Tottenham want answers about Mark Duggan — the man shot — and if he was shot in error they will demand that those responsible for his death should be held firmly to account. The police need to remember that they are public servants, and not above the law. They are there to serve and assist the local community, and nothing else. Will any of these measures be put in place soon? Don’t bet on it. 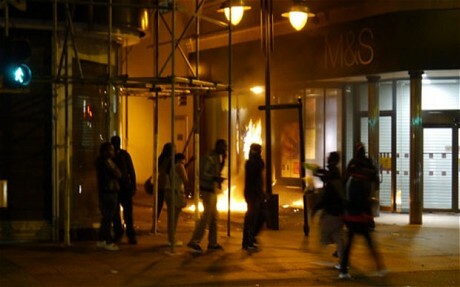 Running battles and skirmishes between riot police and hooded looters in Hackney covered live via helicopter. Anybody (especially politicians) foolish enough to believe that these incidents are “isolated” or “opportunistic” is hopelessly deluded. This is a systemic and deep-rooted issue. Treating it as isolated or opportunistic will only make things worse. This entry was posted in Current Affairs, Musings and tagged 2011, bernanke, biflation, brixton, inflation, london, mark duggan, police brutality, tottenham, violence. Bookmark the permalink.